Alberta Education Minister David Eggen speaks to the media in Edmonton on Nov. 15, 2017. 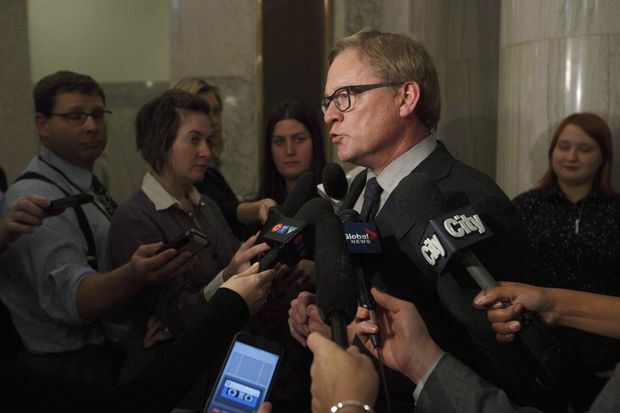 Alberta Education Minister David Eggen says schools and parents will be able to request exemptions to a ban on seclusion rooms that will take effect this fall. Eggen stresses that regardless of exemptions, no school will be allowed to put a student in an isolation room unless the child’s caregiver gives permission to do so. “The exemption is based on the fact that some parents, together with schools, could come to the conclusion that having some version of seclusion for the student with severe special needs is the best practice,” Eggen told a news conference Friday. The rooms have been used as teachers have worked to include developmentally disabled students in classrooms. Eggen said schools wanting to apply for an exemption will have to do so through his office. More details and guidelines are to follow, he added. He made the comments at a news conference to announce he had followed through on a promise made two weeks ago and had formally signed a ministerial order banning seclusion rooms in schools starting Sept. 1. He said there will be mechanisms in place, including on-site inspections, to make sure schools comply. The rooms are used to give disruptive students a chance to settle down, but many parents of children with developmental disabilities had complained the rooms were harmful to their kids and needed to be banned. A survey of 400 families done last year by the advocacy group Inclusion Alberta showed that 80 per cent of parents said the rooms left their children traumatized or in emotional distress. The survey indicated that more than half of children put in isolation were on the autism spectrum. The group said in a release Friday that it’s encouraged by the room ban but concerned about exemptions. “We need to know what criteria will be used for determining a child can still be placed in seclusion,” said CEO Trish Bowman. The Alberta Teachers’ Association said in a statement that the bigger issue is a lack of supports for students and teachers. 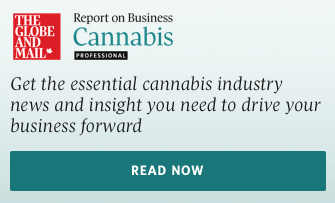 “Too many students with complex needs are not receiving the full support and resources they need to be successful at school,” said the association. Eggen said the province will be working to deliver more help to schools to deal with developmentally disabled students. “We’re not just leaving it at this by any means,” he said. Seclusion rooms made headlines last fall when a couple filed a lawsuit against the province and Elk Island Public Schools. The parents of a 12-year-old autistic son claimed he was locked naked in a room and later found covered in his own feces. The school board denies the allegations and the claims have not been proven in court. In response, Eggen struck an eight-member panel of parents, teachers and health professionals to develop guidelines to improve the rooms. Two weeks ago, disability advocates publicly criticized the draft guidelines, which called for more parental involvement, and said little had changed and the core problem remained. In response, Eggen announced the rooms would be banned.